The University Quarter and KCOM bring the fastest internet to city’s students. The University Quarter and KCOM have announced a new partnership that will provide Hull students with access to some of the fastest internet speeds available in the country. 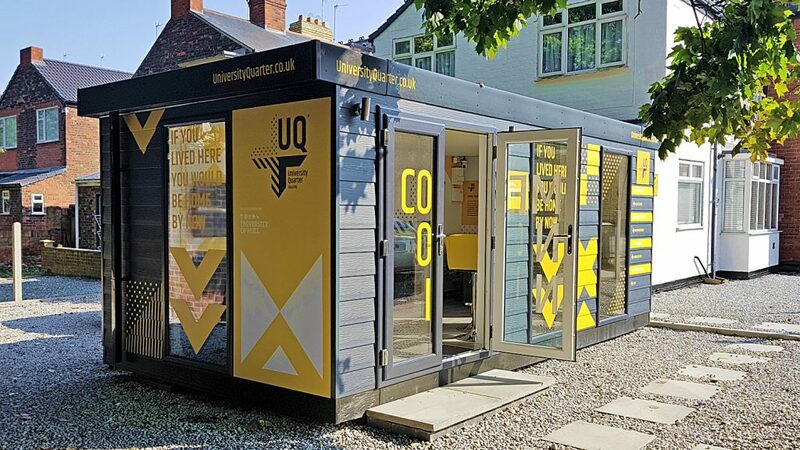 The University Quarter (UQ) is a community of brand new and fully refurbished accommodation provided in partnership with the University of Hull. KCOM will install its Lightstream service in all 200 properties in the University Quarter as well as in hall of residence Cranbrook Court, making download speeds of up to 1Gbps accessible to UQ tenants. Richard Stott, head of the University Quarter project, said: “Living close to the vibrant University of Hull campus is important for students which is why substantial investment in the University Quarter, adjacent to the campus, is good news for the university, student community and city of Hull. Trudi Vout, director of accommodation at the University of Hull said: “With students living increasingly connected lives, we are delighted that the University Quarter will soon be able to provide some of the fastest broadband speeds of any student accommodation in the country. KCOM will support future open days as part of the new partnership to raise awareness of the benefits of ultrafast internet access, as well as showcasing the speeds through online gaming events that will be hosted at University Quarter accommodation. Alan Worthing, director of business at KCOM, said: “We’re delighted to join forces with The University Quarter to bring what is the fastest and most reliable broadband in the UK to Hull’s students. “Because our Lightstream broadband is full fibre, we can deliver gigabit connectivity to accommodation throughout The University Quarter, making it possible for students to work and play online better than ever before. All of the University Quarter housing comes fully furnished and fitted with the latest technology including American-style fridge freezers. Rates are all-inclusive and include a cleaning service. UQ tenants also have access to their own dedicated repairs app, to quickly log and track any repairs with 24/7 support from maintenance staff. KCOM’s Lightstream services will be installed at each property in the University Quarter following their completion. New properties are becoming available to let every week and University of Hull students can register their interest and secure their accommodation for next year by visiting the University Quarter Pod on Salmon Grove or visiting the University Quarter website. Be the first to comment on "The University Quarter and KCOM bring the fastest internet to city’s students."